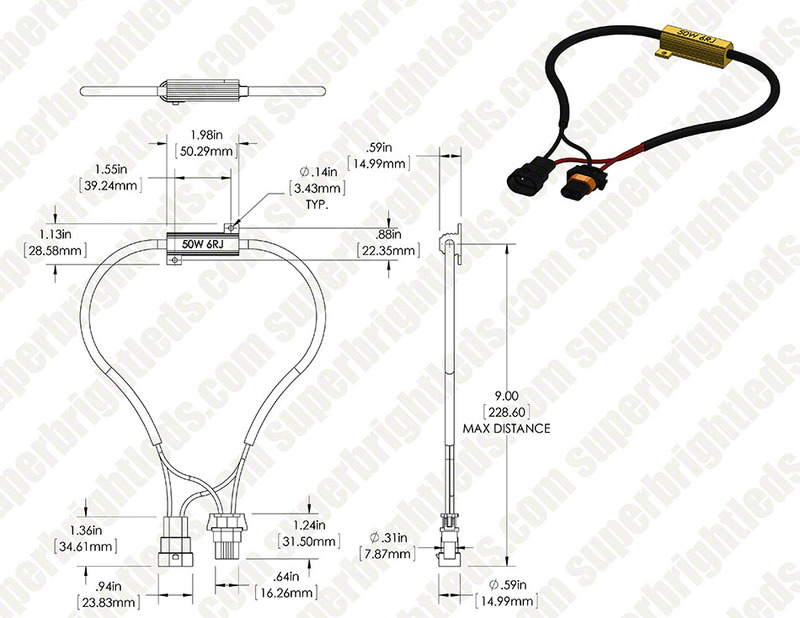 Motorcycle Headlight Load Resistor - H10 LED Bulbs: Detail. 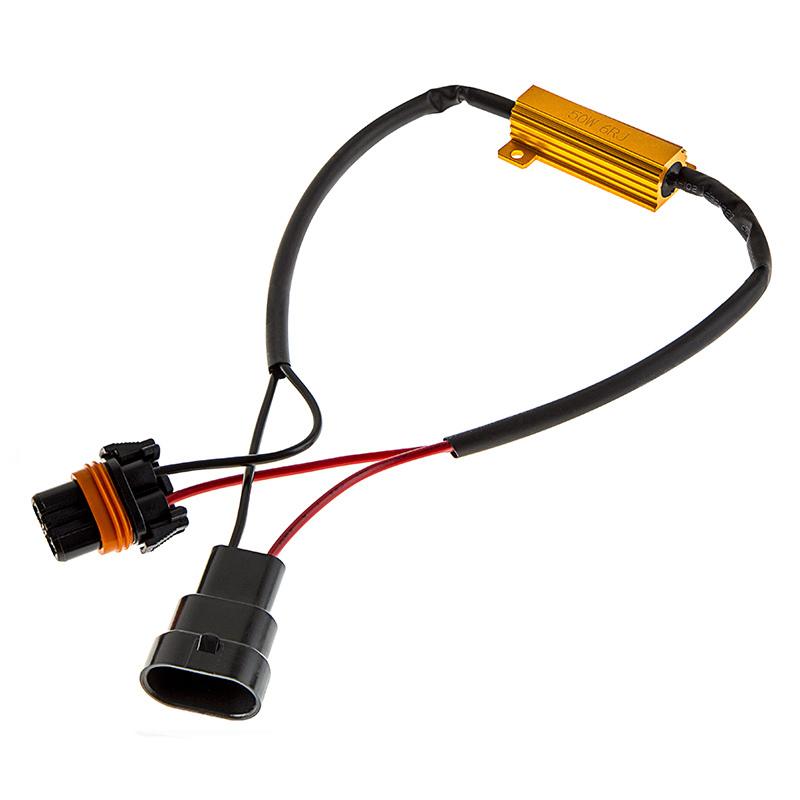 Headlight LED load resistors prevent “bulb out” error messages from appearing on your motorcycle or dirt bike dashboard. This 6 ohm 50-watt load resistor compensates for the low power draw of an H10 LED bulb so that it can communicate properly with your bike's computer (or CAN Bus) system. 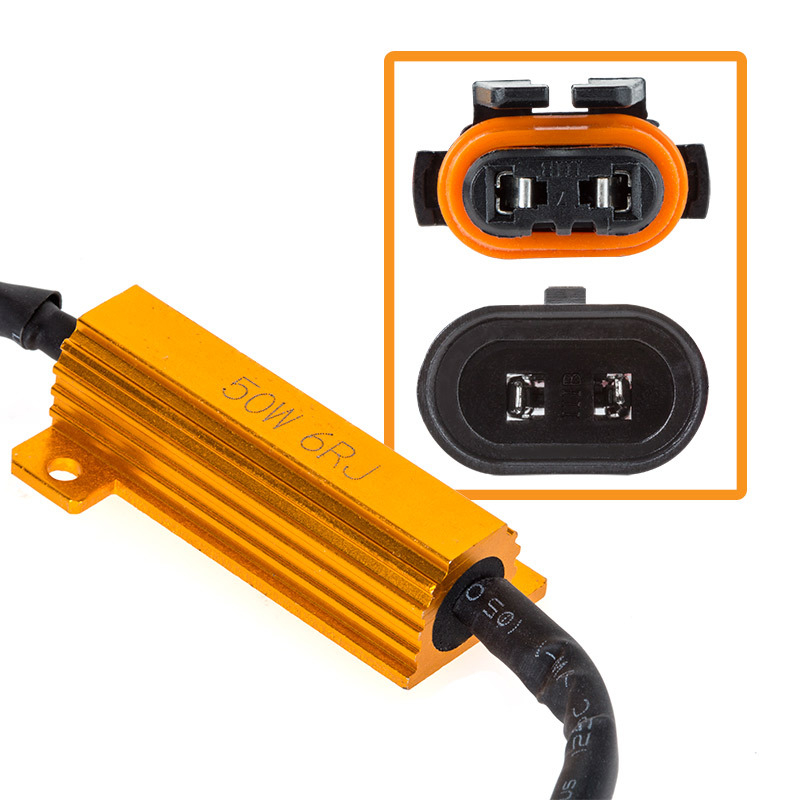 The plug-and-play LED load resistor easily installs in line with your bike's factory bulb socket and your LED bulb. Price per load resistor.